**note:- Chaat masala has salt in it. So it is advised to taste the mixture before you add salt to avoid making the patty too salty. In a bowl add the cooked rajma, chole, grated paneer, grated potato, ginger garlic paste, green chillies, lemon juice chaat masala, coriander. Mix it thoroughly. Take the bread slices and dip them into the bowlful of water, press the slice between your palms to remove all the excess water. Add these slices to the above mixture. Roll them into a burger patty. Keep the patty aside before frying. 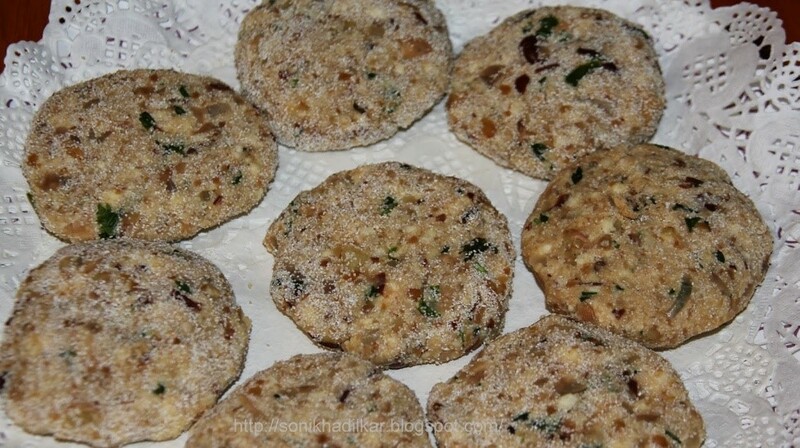 Spread the rava on a tray, roll these burger patty on it so that the rava is evenly coated on it. In a deep bottom vessel heat oil. Deep fry the patty until golden brown. Keep aside on a kitchen towel to drain excess oil. 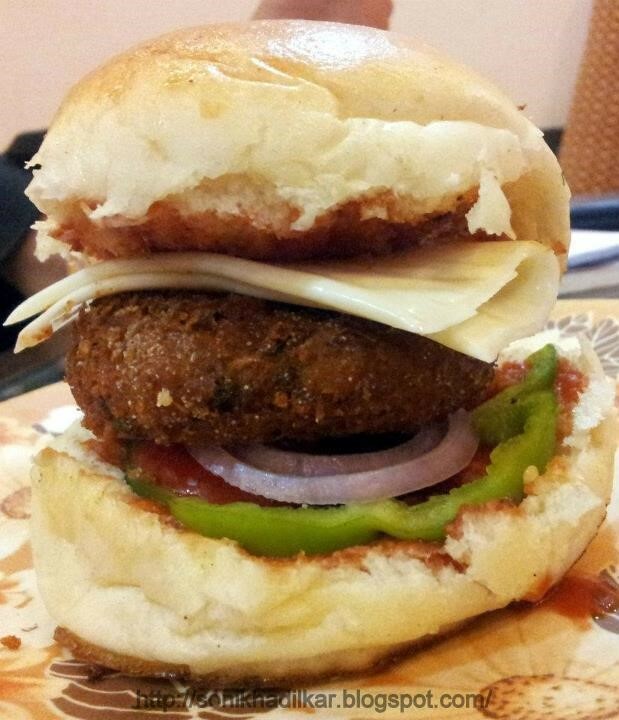 Take the burger bread, spread the mayonnaise & tomato ketchup, arrange onion & capsicum slices. Place the burger patty between the bread along with lettuce leaves & cheese slice. Close the burger and enjoy! !